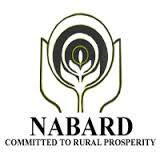 National Bank for Agricultural Development (NABARD) has published a Advertisement for below mentioned Posts 2015. Check below for more details. Educational Qualification : Minimum X class and maximum under graduation. Age Limit : 18 – 30 years as on 31-10-2015. 10 years of age relaxation is applicable Physically handicapped, 15 years for Ex-Serviceman. How to Apply: Eligible candidates may send their prescribed application format with self attested copies of date of birth certificate, ex-serviceman certificate, caste certificate (for SC/ ST/ OBC category) and latest passport size signed photograph affixed on the right hand top corner of the application in a sealed cover & an envelope should be super scribed with “Application for the post of “OFFICE ATTENDANT” by Ordinary post or Speed post to Chief General Manager, National Bank for Agricultural Development (NABARD), First floor, Pithalia Complex, Fafadih Chowk, Opposite Trunk Exchange, K.K. Road, Raipur – 492 009 or may be deposited in the box kept at NABARD’s Uttarakhand Regional Office, Raipur on or before 12-12-2015 from 09:45 AM to 05:45 PM (Except Saturdays & Sundays).